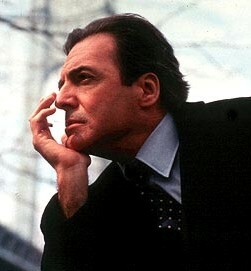 Hollywood actor Armand Assante was one of the speakers in the inaugural World Forum of Spiritual Culture in Kazakhstan’s capital of Astana in 2010. He was so impressed that a country would hold an event aimed at bringing the world together – and by the remarkable religious, cultural and creative leaders he met there – that he decided to do a documentary about the Forum. The passion that he poured into the project led to the film winning first place in the Best Short Documentary category at the recent Gasparilla International Film Festival in Tampa, Florida. A busy work schedule prevented him from accepting the invitation from festival president Yermek Amanshayev, whose day job is president of Almaty-based Kazakhfilm Studios. But before 2007 was out, the Hollywood action-film producer Erken Ialgalshev had brought Armand to his native land – and the actor was blown away by what he experienced. The documentary is not just about an exemplary effort to promote tolerance, however. It’s also a glimpse at key moments in Kazakhstan’s modern history and a mini-travelogue. And for that reason, it’s a great film for non-Kazakhs to see. I asked Armand if the film would be posted on the Internet for all to see. Not just yet, he said. It will first be entered in other international film festivals, then shown at theaters and other venues. Then, perhaps, it will go online. The documentary, which Armand wrote as well as produced, looks at some of the bleakest moments in Kazakh history to suggest why Kazakhs have become so tolerant – and thus why their country deserves to host a tolerance-promoting extravaganza like the Forum. Josef Stalin’s forced collectivization of agriculture, which led to 1.2 million Kazakhs starving in the early 1930s. Stalin’s forced deportation of millions of ethnic groups to Kazakhstan in the 1930s and 1940s, many of whom perished in the harsh conditions of their new home. Life in Kazakhstan’s gulags, or labor camps, particularly those in Karaganda and what is now Astana. The gulag at Karaganda, a couple of hours from Astana, was the size of France. And the 490 nuclear tests near the city of Semipalatinsk between 1949 and the end of testing in 1991. Former Washington Times journalist Claude Salhani notes in the film that Stalin deported many of those who came to be known as “the repressed” in cattle cars. They were dumped from the trains onto the steppes with nothing. “Kazakhs welcomed them with open arms – this is the way they treat foreigners here,” Salhani said. The help that Kazakhs gave the newcomers kept many from starving or freezing to death. Another journalist who appears in the film is me. I offer a few words about a subject I’ve written considerably about: President Nazarbayev’s decision to end nuclear testing in August of 1991, even before the break-up of the Soviet Union. That decision, which angered those in the Kremlin, took a lot of guts. But Nazarbayev had seen the human toll of nuclear testing – including what happened to friends who died of its effects – and was implacable in deciding testing had to go. In his narration of the documentary, Armand discusses another nuclear-related call that Nazarbayev made – his decision to rid Kazakhstan of the world’s fourth-largest nuclear arsenal in the mid-1990s. It, too, was a gutsy call, with many Kazakh officials believing that only nuclear weapons would prevent their country of 16 million from falling prey to much larger neighbors. As for the travelogue part of “A Dialogue from the Steppes,” Armand included many scenes of Kazakhstan’s wild beauty – such as Charyn Canyon and Borovoe – plus the manmade beauty of Astana’s innovative new skyline. There’s also footage of such cultural symbols as graceful Kazakh dancers and falconry. And the film ends with the guttural music of a Kazakh throat singer. As the terms applies, a throat singer is someone who sings with his or her throat instead of voice. It’s an art form that goes back thousands of years. But the main message of Armand’s film is not culture but tolerance. is the reason why this country sets a precedent for tolerance and peace initiatives that affect the world,” Armand said his film-festival win. Much of the message of tolerance in the documentary is conveyed by special people such as Jonathan Granoff, founder of the New York-based Global Security Institute, which seeks to rid the world of nuclear weapons; Zhanar Aitzhanova, Kazakhstan’s former ambassador to the United Nations and former economic minister; Bawa Jain, secretary general of the New York-based World Council of Religious Leaders; Feisal Abdul Rauf, a New York-based imam who has become renowned for trying to improve relations between Muslims and the West; and Tolegen Mukhamedzhanov, who not only is a Kazakhstan senator but is also a celebrated pianist and composer. I remember sitting with Armand and Tolegen in Armand’s room in the Rixos Hotel in Astana in July of last year, listening to the senator discuss Kazakhstan’s legacy of tolerance. His musings were almost poetic – and that lyrical tone surfaces in the documentary. In discussing the materialism that has affected much of the world, for example, he says that legend has it that God was once asked to describe someone who is rich. “And God answered: ‘Not he who has plenty but he who does not ask for much,’” Tolegen said. Armand has told me he admires Tolegen’s creative talents, and the relationship between them has developed into a friendship. “I am grateful to Erken Ialgashev and Tolegen Mukhamedzhanov for introducing me to their country and for being my partners on the film,” Armand said. Another Kazakhstan-related project that Armand has been working on is a movie called “All the World at Your Feet.” He is co-producing and acting in the Kazakhstan-financed film, whose main female role is being played by Tolegen’s daughter Karlygash. Initial plans were for the movie to be dubbed in Russian, English and Chinese to attract a worldwide audience. Although Armand has enjoyed doing film projects in Kazakhstan, he said the people are the main reason he likes coming back. Hal Foster is a longtime journalist and journalism professor who has worked in the United States, Japan, Ukraine and Kazakhstan. His news career has included writing and editing at the Los Angeles Times and nine years as a journalist in Japan. He is an associate professor of Communication at the new Nazarbayev University in Astana, Kazakhstan. Catch one of his other blogs at en.tengrinews.kz. Contact the author.